Pictured below are students from St Brigid’s College Loughrea who were awarded Gaeltacht Scholarships by GRETB for Summer 2018. Back row: L to r: Dalma Barath, Alannah Curley, Mark Daniels, Sinead Kennedy, Jason Niland and Shane Tuohy. Front row: L to r: Deirdre Blake, Arlene Earls, Donal Reilly, Fionn Mullins, Ronan Breheny and Cathal Duane. Pictured below are students from St Brigid’s College Loughrea who were awarded Gaeltacht Scholarships by GRETB for Summer 2016. Back row: Beibin O Malley, Caoimhe McGrath, Cathal Lenehen, Emma Killilea, Lisa Fallon, Kate Reilly. 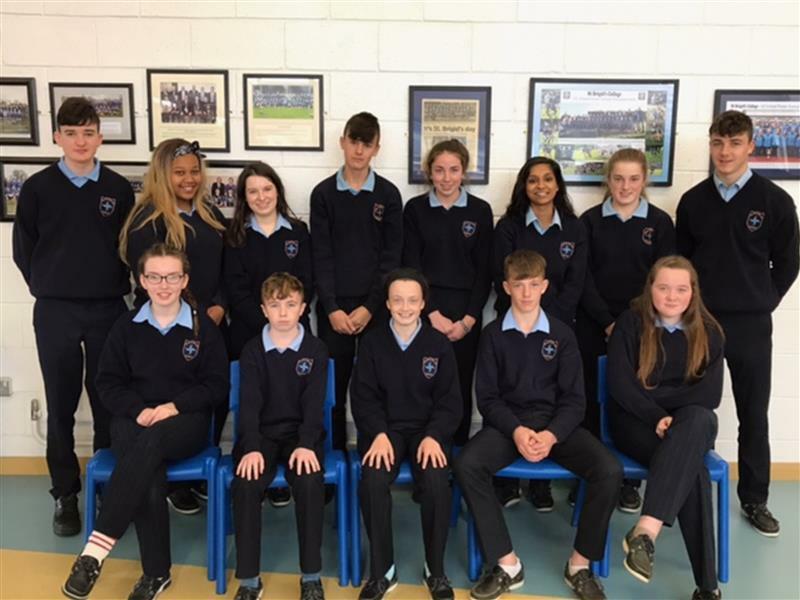 Front row: Ciara Harney, Niamh Brennan, Sean Mullins, Brandon Morgan, Rachel McInerney, Tara Corbett and Sorsha Moran (Missing from photograph Molly Lynam). 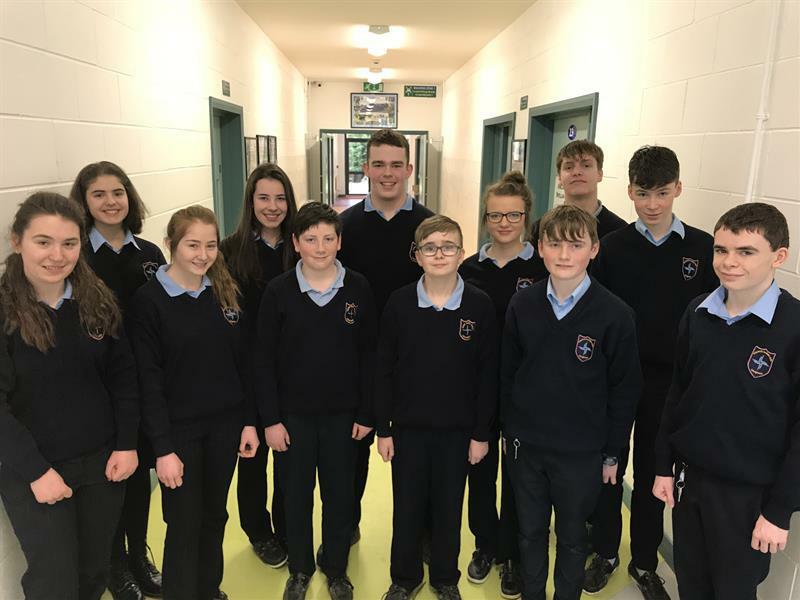 Pictured below are students from St Brigid’s Loughrea who were awarded scholarships to the Gealtacht for summer 2015 by Galway and Roscommon Education Training Board. Back row: L to R: Katie Blake, Eva Kelly, Katie Skehill, Katelyn Egan, Arlene Hardiman, Amy Howard, Stephen Cannon and Emma Byrne. Front row: L to R: Aoife Forde, David Waters, John Headd, Stephen Murphy, Caoilinn Doyle, Sinead Kelly and Aliosia Mitchell. Missing from photo is Caoimhe Gaffney. Fáilte go dtí Roinn na Gaeilge. Is í an aidhm atá againn anseo ná meas agus grá a chothú dár dteanga dhúchais. Is gné lárnach í an Ghaeilge de shaol na scoile agus déanaimid gach iarracht cultúr agus saibhreas na teanga a chur chun cinn ón gcéad bhliain ar aghaidh. Welcome to the Irish Department. Our aim is to foster a love and respect for our native language. Irish is a central part of school life and we make every effort to promote it from first year on. The Irish Oral Exam is worth 40% at Leaving Certificate level. The higher level courses are extremely challenging. Commitment and good linguistic ability is necessary for success. Students are strongly advised to attend a three week summer Irish language course in the Gaeltacht, in order to improve their proficiency in the language. A wide range of colleges offer summer courses in the Gaeltacht areas and brochures are available in the school, through the Irish Department. In addition to this, the Galway Roscommon Education and Training Board (GRETB) offer scholarships each year and students at St. Brigid’s College are encouraged to apply as the opportunity arises. Further information is available from our teachers. Seachtain na Gaeilge is celebrated in St. Brigid’s College in March. The Irish Department organise main events such as table quizzes, poster competitions, drama, traditional dance sessions, trips to places of importance to the Irish culture and heritage along with other class activities. All classes (with limited participation for exam classes) participate in these events and play an active role in our celebration of Seachtain na Gaeilge. The renowned author, Ré Ó Laighléis, is invited to St. Brigid’s College each year to meet our Senior students (Higher Level) about the novel Gafa. The Leaving Certificate students study this novel as part of the Higher Level course for the Leaving Certificate. It is a modern novel with an enticing plot. The students can identify with all of the themes in the novel therefore gaining benefit and enjoyment from listening to the author himself talking about the background to the story.